Jatan Telecom is a distribution company in South Africa providing products which are at the forefront of the communications market around the world. 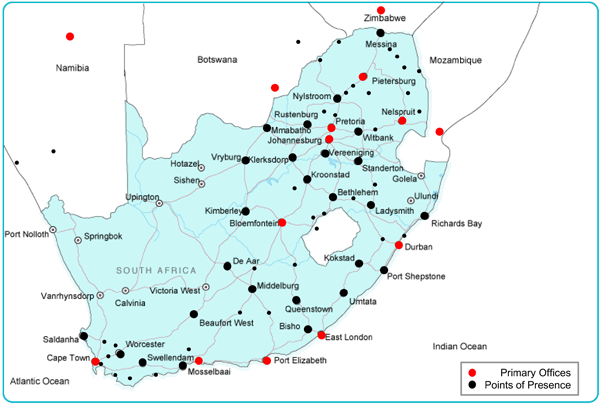 Jatan has certified resellers with coverage throughout South Africa and neighbouring countries. Jatan Telecom is a dedicated distributor of Mitel Business Communications Solutions, and offers solutions to address the SME and Enterprise customers tailored to satisfy their requirements. These range from feature-rich call managers for small and medium businesses and highly scalable ones for large enterprises, integrated mobility, call centre solutions to a wide selection of terminals. With a strong focus on open standards, Mitel enables enterprises to communicate and collaborate more efficiently. Founded in 1994 and based in Stellenbosch - Western Cape, Jatan Telecom is committed to growing the Mitel brand (formally Aastra) in the region and to become a leading distribution company in the communications market.